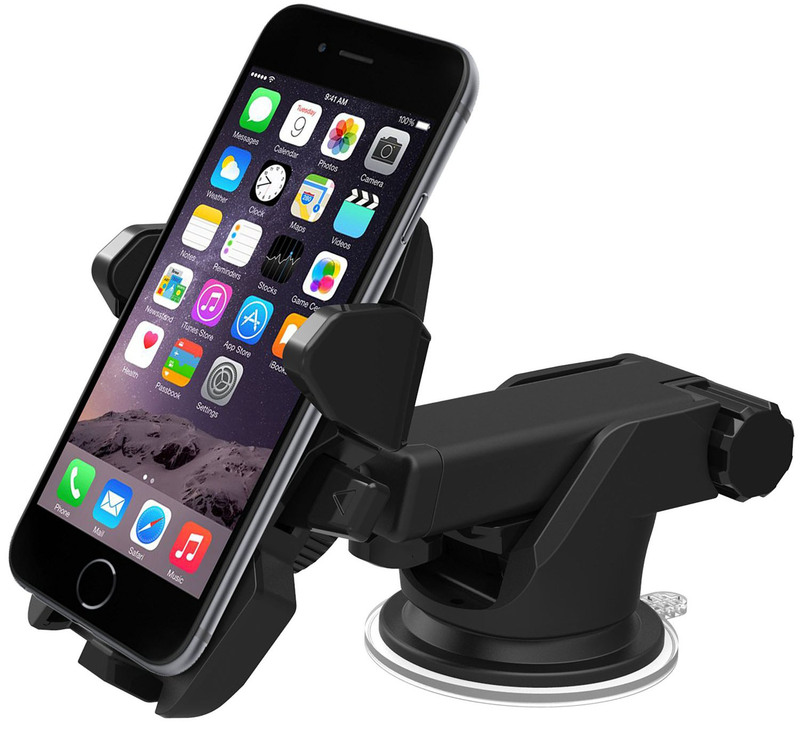 This versatile Car Mount Holder by iOttie is compatible with iPhone 6, iPhone 6 Plus, iPhone 5s/5c, Samsung Galaxy S5/S4/S3/Note 4/3 and Google Nexus 5/4, LG G3. 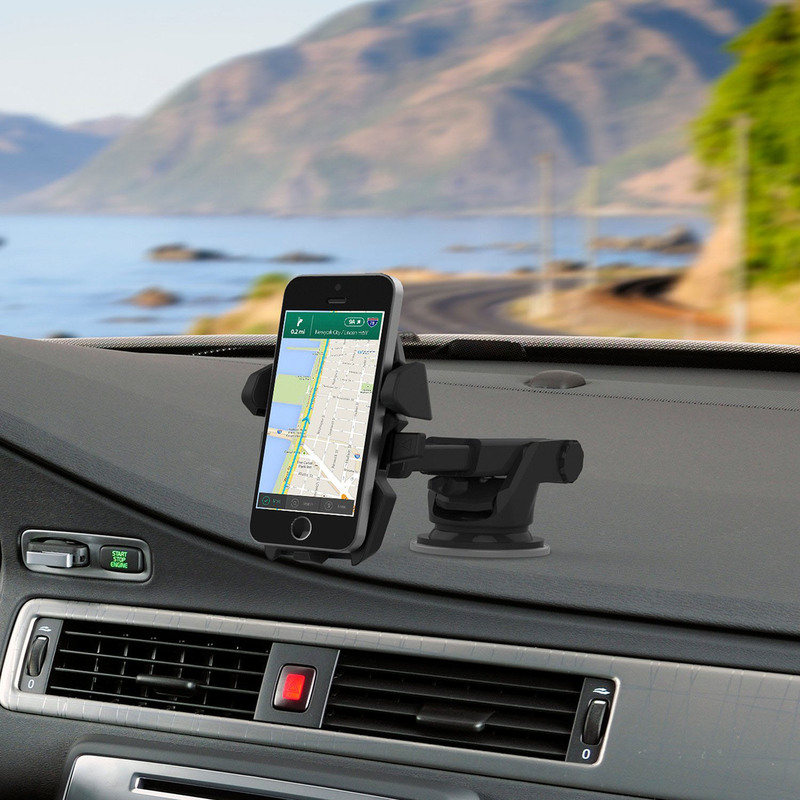 The one touch mounting system locks and releases the device with just a push of a finger. 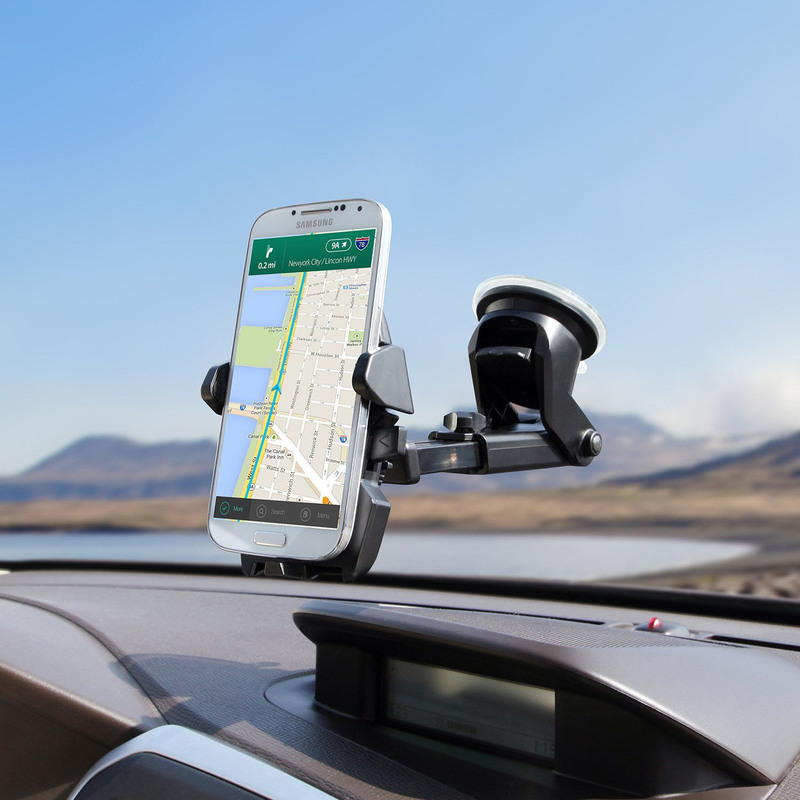 It offers a telescopic arm which extends up to 2 additional inches to provide you with many viewing options when using your mount.